Sounds easy, burn in two holes next to each other. Carve a channel to connect them, start grinding out a fire. Tried this many times, no joy. Think I first saw this in Mor's book. Anybody try it or have luck with it? Worked for me. 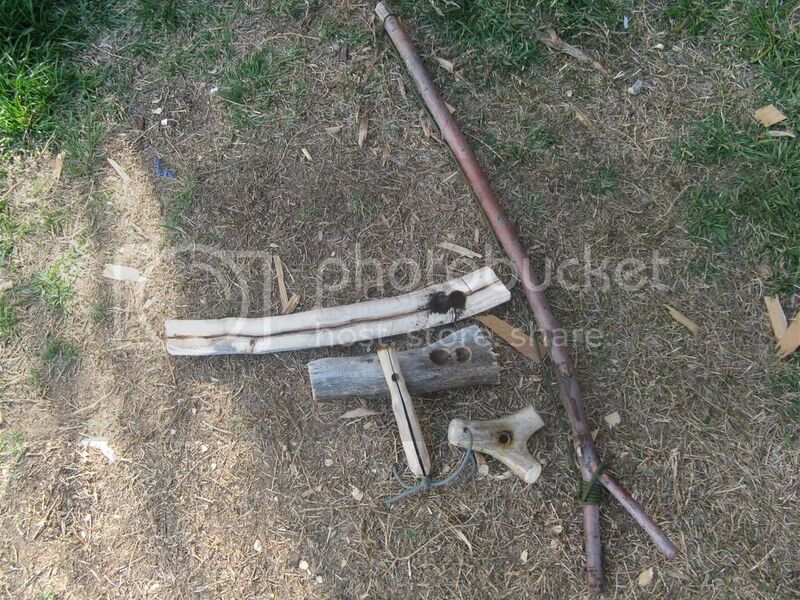 What type of wood were you using for the hearth sticks? How wide was your channel? I can't remember for sure, it's been a few years, but I would guess about 1/32 to 1/16 of an inch. My sticks were pretty crooked, so I had a multitude of spacings to choose from. BTW, I used cottonwood, too......it was very dry and I remember that I got a coal pretty quickly. Thanks for posting, now that I know it can be done. I won't quit till I get it................. .